Morocco is among the most politically and socially secure markets in Africa. With its favourable geographic location, the North African country is likely to become a gateway for Vietnamese goods to access African and the Middle East markets. The trade potential for Vietnam and Morocco is enormous. In 2017, the two-way trade value was US$169.2 million, an increase of approximately 55.8 per cent over 2013. Although the absolute value is not high, the bilateral trade has surged rapidly in the relative value. However, taking year-on-year correlation into account, the trade relations between the two countries are not sustainable. After three consecutive years of growth, in 2017, Vietnam's exports to Morocco fell 11.5 per cent from a year earlier to only US$155.6 million. The decline extended to the first six months of 2018, with an approximate 3 per cent drop. The shrinkage was attributed to Morocco’s import management policy as well as its tightened commodity quarantine hygiene policy. 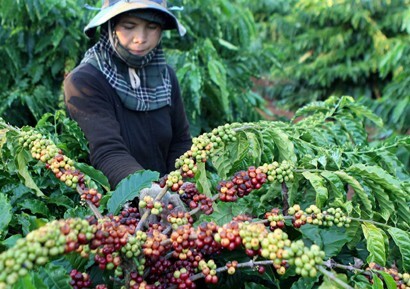 In addition, prices of some agricultural products in Vietnam have tended to fall and price competition from other exporting countries have narrowed the opportunity of signing contracts for Vietnamese companies. Besides, fluctuations in volatile EU market and global stock markets have more or less affected the financial position and liquidity of Vietnam and Morocco. In general, the quality and price of Vietnamese goods meet the strictest requirements in the European Union or the United States; thus, they can penetrate and compete with rivals from other nations in the Moroccan market. As exports of the two countries are fundamentally complementary, Vietnamese goods can reach all segments of the Moroccan market, from average to high. Not only exporting commodities, Vietnam can do direct business in Morocco because of the former’s existing strengths and the latter’s appropriate investment policies, particularly in such fields as agriculture and fishery, travel and tourism services, consumer goods production, logistic services in bonded areas and industrial zones, and hotel business. To effectively boost exports to the potential Moroccan market, the Trade Office of the Vietnamese Embassy in Morocco recommended exporters to learn carefully about Moroccan partners before signing business contracts. They should negotiate tight contract terms and use appropriate payment methods to bind partners to comply with commitments in all cases. To strengthen commitment compliance and creditability, they should ask their partners for a high deposit, at least 25 per cent of shipment value and never transfer in advance any payment at the request of their partners for any reason. For contracts and appendices thereto signed by email, special attention should be paid to signatures and seals that may be faked. In case of seeing any problem, they should soon contact relevant agencies to seek best solutions to avoid prolonged damages or cases that cannot be handled.